Dentures have been around for hundreds of years, but they are still one of the most popular choices for tooth replacement even now for their affordability and their convenience. And because of the materials and craftsmanship used to make dentures today, they look more lifelike than ever before! If you’re missing one or more teeth, it’s in your best interest to consider this tooth restoration option further by having a consultation with Dr. Durga. Dentures consist of prosthetic porcelain teeth that are attached to a plastic base colored to look like gum tissue. For easy cleaning and storage, they are generally made to be removeable. Depending on the type, dentures are held in place by suction or by a metal clasp. Out of the tooth restoration options available, dentures typically have the lowest upfront cost. If you’re missing one or more teeth, you need to replace them so that you can maintain your oral health in the long term. Without something to fill in the gap, your other teeth can shift to compensate, leading to misalignment in your bite, potential problems with your jaw joint, or even additional tooth loss. Also, without your missing teeth, you may not be able to bite, chew, or speak as well as you used to, impacting your nutrition, digestion, confidence, and interactions with others. Dentures help you keep your healthy eating habits, your aligned bite, and your self-assurance after tooth loss. There are generally three kinds of dentures. At your consultation, Dr. Durga can help you determine which type of denture is the right choice for you. If you are missing all of your teeth, then you’ll need total replacement, which is exactly what full dentures offer. Although it can take a little while for your mouth to adjust to new dentures, we will make sure that your custom dentures fit comfortably. When you still have healthy teeth remaining in your mouth, partial dentures may be the right solution for you. 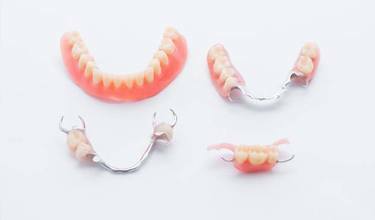 Partial dentures often are made on a metal framework that attaches to these teeth or use a dental crown to anchor to them, helping them stay in place. But unlike dental bridges, partial dentures are still removeable. Implant-retained dentures combine two types of teeth replacement into one option. Dental implants stimulate jaw bone growth, which promotes your long-term oral health, and are exceptionally sturdy. 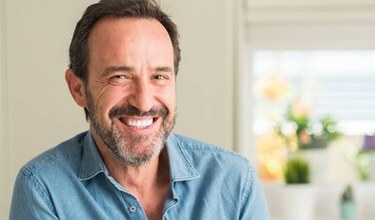 By connecting your full or partial dentures to these implants, you can provide additional strength and stability to your dentures, preventing those awkward situations when your dentures slip or come loose. 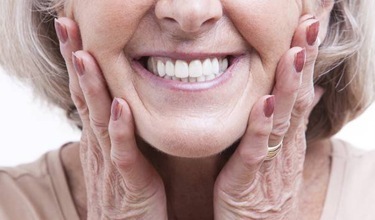 The lifespan of your dentures depends largely on you. If you follow care instructions and use proper maintenance, your dentures can last for five to seven years before needing to be replaced. As an essential part of healthy oral habits, visiting with Dr. Durga regularly for checkups helps ensure that your dentures are still working and fitting properly. At DD Family Dentistry, our team is committed to helping you regain your smile and your confidence. We look forward to working with you and delivering results that you can trust for years to come. Schedule an appointment with us today to discuss your new dentures today!